Increasing demand for lightweight material has moved the industries to switchover to the polymer-based composite materials. The polymer composite materials mainly use synthetic fibers like carbon fibers and glass fibers, which generally show better mechanical properties. The integration of these composites has increased drastically from aerospace to automobile industries. 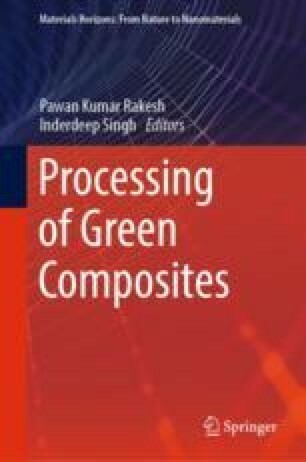 Further, the drawback of non-biodegradability is always associated with the synthetic fiber-reinforced polymer composites. Natural fibers, on the other hand, are cheap, readily available, and biodegradable, which is thought to be a better alternative to synthetic fibers. Among the natural fibers, silk fiber is one of the most durable fibers and has excellent mechanical properties like stiffness, strength, and ductility, etc. Nowadays, silk fiber is being used extensively for the engineering and medical applications due to its several attractive properties in which environment-friendliness is hugely alluring for the researchers.